How do you eat at a steakhouse when you're a vegan? How do you eat at a non-vegan restaurant, even a steakhouse, when you're a vegan? I get this question a lot, and I rediscover the answers for myself every holiday season when I'm dining with my non-vegan friends and family. It isn't impossible at all. A vegan can even have a tasty meal at a steak house! This holiday season as you're dining out with you meat loving, or not so healthy family, don't fret, just remember these few tips to make your dining experience enjoyable. When you have plans to eat at a meat centric restaurant you can do two things, 1) Call ahead to let the restaurant know that you will be eating there, and cannot consume any animal products. They might suggest some menu items that can be altered to suit you, or offer to make you a special plate. Or, 2) Tell your server that you are vegan and politely ask for assistance in choosing your meal. Be very clear about what it means to be a vegan; no eggs, no milk, no butter, no cheese, no meat (including seafood), etc. Alterations she/he may suggest could be no cheese or meat on pasta/salad, or a vegetable and grain plate made up of sides. There are many many vegan friendly restaurants around the world. 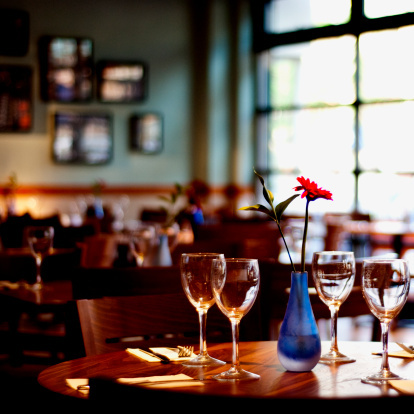 These places serve meat as well as vegetarian meals, and are understanding of your dietary needs. The website Happy Cow is a great place to find vegan friendly restaurants all over. I just ate at True Food Kitchen and Root Down in Denver. Both restaurants are great for carnivores and vegans. If you're still worried about not having enough to eat when you eat at a non-vegan restaurant, simply eat a bit before you go. You can enjoy small bites and drinks at the restaurant and still enjoy the company of your friends and family. After all, the dining experience is really about the people you share it with. Want an example of how I put these tips to good use? Let's take the Morton's Steakhouse menu. On the menu, of course you mostly see meat and seafood dishes, obviously you can't ask the chef to substitute tofu in place of the Filet Mignon. You can, however, request a salad sans the animal products. Even better, you can create your own veggie plate from the sides. How about the steamed broccoli, asparagus and mushrooms with spinach. Just make sure they cook everything with oil, not butter. Oh, and if that won't fill you up, eat a bowl of quinoa before you go. That will help satiate you, so you can focus your energy on having a fun night. 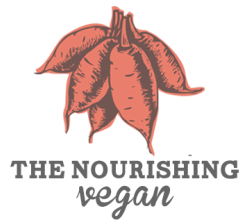 To learn more about becoming a healthy, happy and nourished vegan. Join the 30-Day Vegan Challenge (starting January 1, 2013)! Click here for more information.